Okay, so I have two boys and one girl. Having boys first, I have been waiting forever to do girly things. 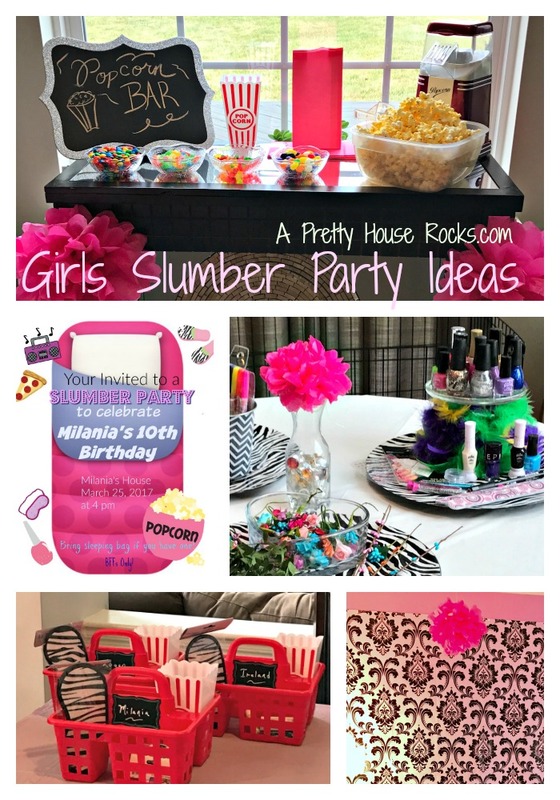 This time was no exception, this year my daughter had her first slumber party for her birthday. This was a big deal for me...I mean HER! 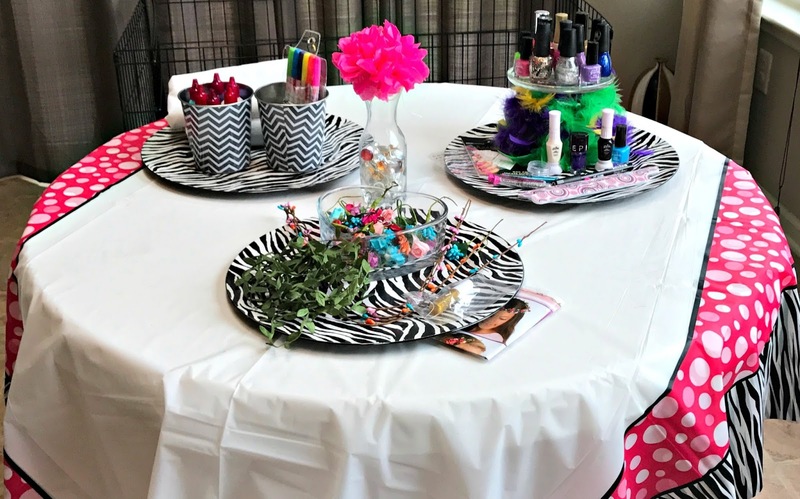 She wanted her friends to come over and have the most fun ever! I wanted to her to see what having good friendships is all about. My memories of sleep overs "back in the day" were always so much fun. 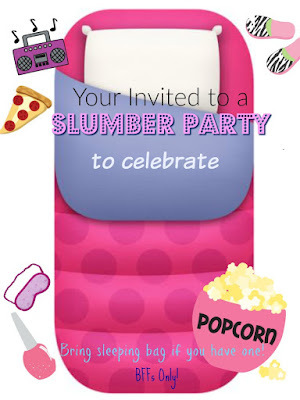 So I wanted to make sure my daughter's slumber party was even better! We created our invitations (free printable below) and then came up with list of things to do. Believe me having a plan helped keep these girls on track. 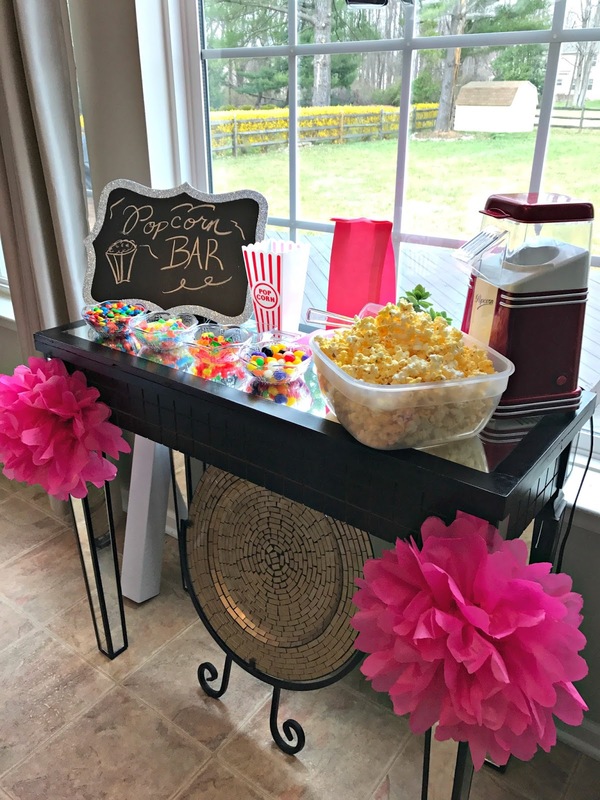 After looking at all the great ideas on Pinterest, we started off with the "Popcorn Bar," filled with air popped popcorn and some of the kids favorite snacks. This was a huge success...the girls snacked all night, as they watched movies, played and had ten-year old girl talk. For decorations, I used pink tissue paper to make their party pom poms. 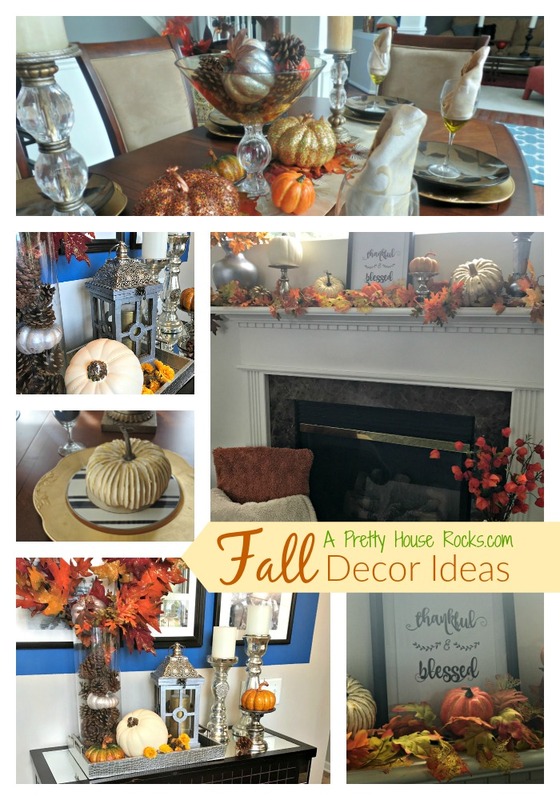 One of my favorite easy and budget friendly go-to -party decorations. Later the girls made flower crowns, (a kit I got from Michael's) And of course, they did each other's nails. I had fabric paint markers and white pillows cases so the girls could create their own designs on their pillow cases. 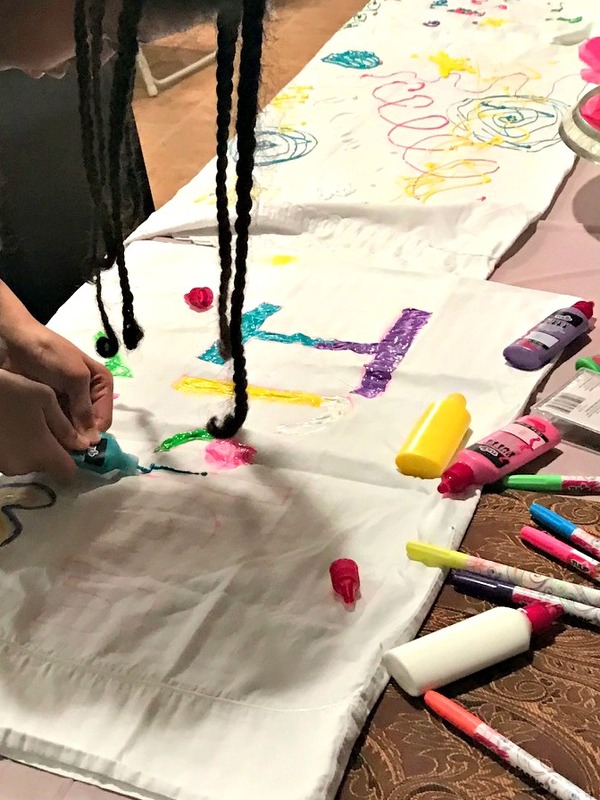 The girls really enjoyed being creative with their pillow cases...unfortunately, they could not sleep on them that night. Took some time to dry. 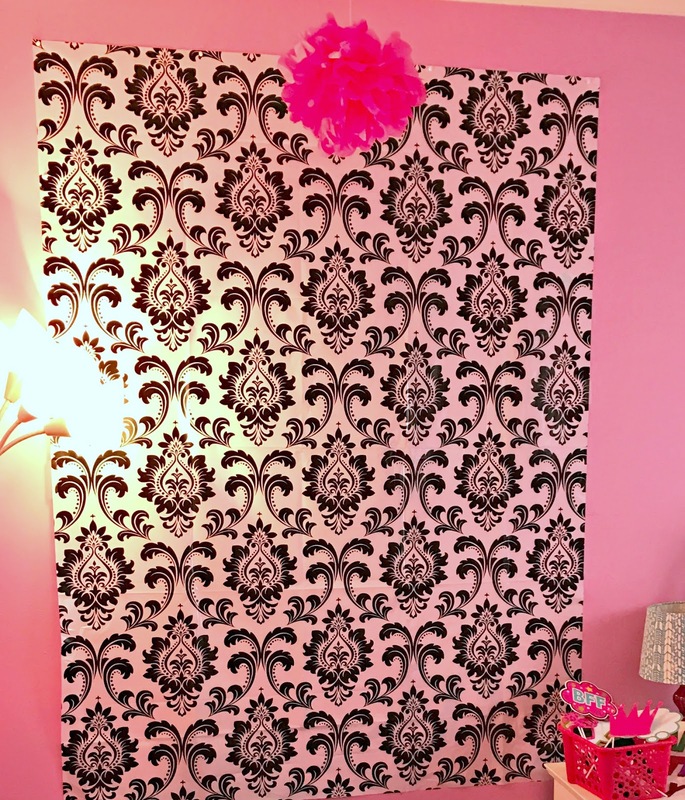 In my daughters room, we hung this Damask selfie wallpaper that I got from a party store, along with all sorts of selfie props. The girls had a ball taking pics! Memories that will last forever! I also added white christmas lights and fabric to the walls of her room, great ambiance for a sleepover. 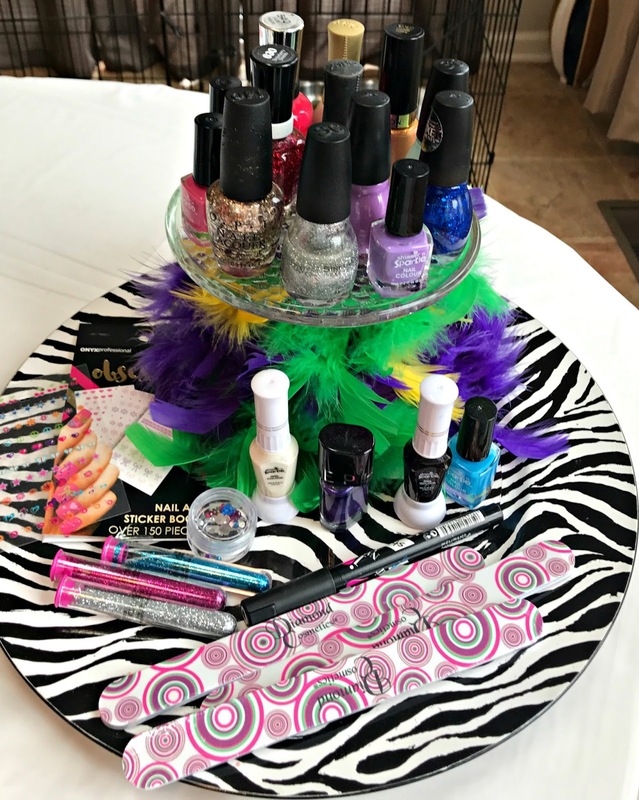 For favors, we gave the girls personalized baskets with sleeping eye-masks, popcorn containers, lip glosses, fingernail polishes and other spa accessories. We used chalkboard labels to write each girl's name. 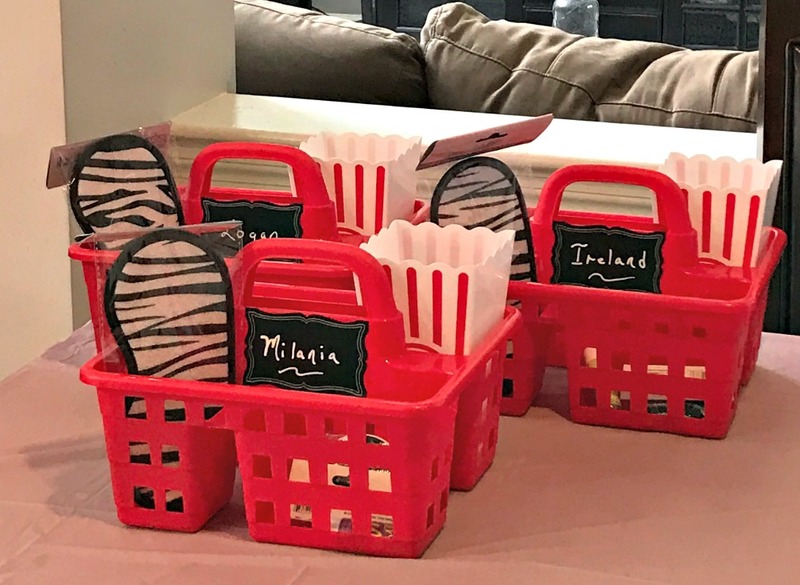 These cute baskets came from the Dollar Store. Needless to say...this party was a success. Hope these ideas inspire your....Thanks for visiting!!!! This is a jpeg image, use text to add you own name and information. I wish there were more places like this, because it was simply too amazing for words. I came here with my boyfriend the other night, and it was absolutely fabulous. The use of wood throughout the event venue Atlanta adds a very warm and inviting feel to venue.